Body: Merlot focused blends tend to be more medium bodied, Cabernet Sauvignon blends are a little more full. People around the world go absolutely crazy for a rich Bordeaux, and there are plenty of reasons why. 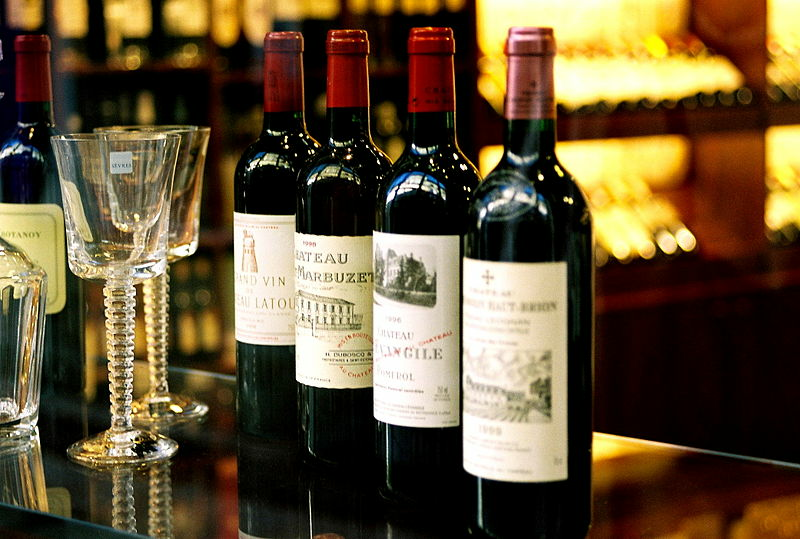 Bordeaux makes the best wine in the world, with few exceptions. The history and tradition of wine making in Bordeaux stretches all the way back to the Romans with traditions passed down hand to hand. Winemakers in Bordeaux obsess over allowing the terroir to express itself in the wine, meaning they are very hands off about their winemaking. It turns winemaking into an art. Bordeaux is split into two parts along the Gironde Estuary, the left and right bank. Estates on both sides grow Cabernet Sauvignon, and Merlot. Almost like the Twix of the wine world. Right bank wines are more predominantly Cabernet Sauvignon, making for richer, more powerful wines, considered to be better and more expensive. The left bank favors more Merlot based wines, which are softer, less tannic and ready to enjoy whenever the hell you feel like it. Both sides make awesome wines, and the wider wine world has endeavored to copy what they do, but no matter how good the student becomes, they will always bow to the master. Everyday "cheaper" Bordeaux (think $20 to $30) is the perfect accompaniment to cold meats and charcuterie, plus a good cheese or two for good mix. The more expensive wine craves to be paired with fine dining, dark meats, especially duck and venison. Bordeaux is a place where vintage truly matters. Most years are good, some not so, but there are exceptional years where it feels like the Gods simply smiled on the people of the region, and their work, to create something out of this world. Coupled with delicate traditions of the winemaking process, these wines could change, develop, and improve decades after they were first produced, and people go NUTS for them. That is what makes these wines truly exceptional, because they can last and reward patience. Simply put, know your years. This and Burgundy are the only wines where we strongly reccomend that. What makes Bordeaux so amazing is its ability suit any situation. It is a great everyday wine, whether at a casual lunch or at the end of a long day after work. Great Bordeaux will turn any occasion special. Just ask our CEO, he celebrated his 30th with a 30 year old bottle of Bordeaux wine from Pomerol. He still talks about it to this day... to everyone. Bordeaux is meant to be shared, meant to be the drink that brings people together to mark something remarkable. It would be too greedy to drink it alone. You got it! Give us some deets and we will be sure to send you the latest news on the good stuff! ...But who doesn't want more wine right?